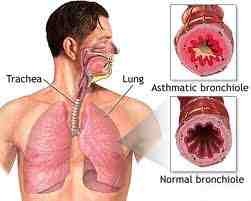 Asthma is a chronic lung disease that affects at least 24 million people in the United States. Symptoms of asthma include episodes of wheezing, coughing, shortness of breath, and increased mucus production. Genetics, allergy, environment, infection, emotions, and nutrition all play a role in this disease, which causes inflammation of the airways of the lung. Standard treatment has been the lifelong use of drugs that keep the airways open and reduce inflammation. The main drugs are bronchodilators, which open airways, and steroids, which dampen inflammation by suppressing the immune system. The most common reasons why people try alternative and complementary therapies are dissatisfaction with conventional therapies and concerns about steroid side effects. Dr.Tatyana Yakovleva protocol combines several natural therapies and self healing techniques (Sitting Yoga, etc) that can either lessen a drug's side effects or decrease dependence on these drugs. The World Health Organization and The Asthma Campaign in the United Kingdom list Yoga as a practice that decreases attacks and increases tolerance to some triggers.